For one weekend at least, the flurries of snow and rain battering Seattle were replaced by every color imaginable as thousands of cosplayers and other comic book fans swarmed into the Emerald City Comic Con. In a continuing effort to embrace a wider community, ECCC sponsored a day for educators and librarians at the Seattle Central Public Library, debuting a dozen special sessions focused on introducing educators to comics, spotlighting new graphic novels for audiences of all ages, and giving teachers tips on how to build a ‘graphic novel classroom’. The keynote speech was emotionally delivered by novelist (and new comics writer) Chelsea Cain. Wearing her 14-year-old daughter’s Thor costume—and constantly having to adjust its too-small shoulder pads—Ms. Cain spoke movingly about a lonely Pacific Northwest childhood spent among books in libraries. How even today she goes there–as an atheist–to pray. How she went there after her mother’s cancer metastisized because ‘I wanted to be somewhere safe when I found out she would die.’ How librarians were always watching over her. ‘My whole life story is written in books,’ she shared tearfully, recalling how her mother inscribed every book she ever gifted her with details on when and where it was bought and what was going on in their lives at the time. Her mother also saved money for a dream trip to Italy by stuffing spare dollars into the pages of countless books. When Ms. Cain inherited her mother’s books, unexpected money fluttered to the floor every time she opened a book…for more than ten years. 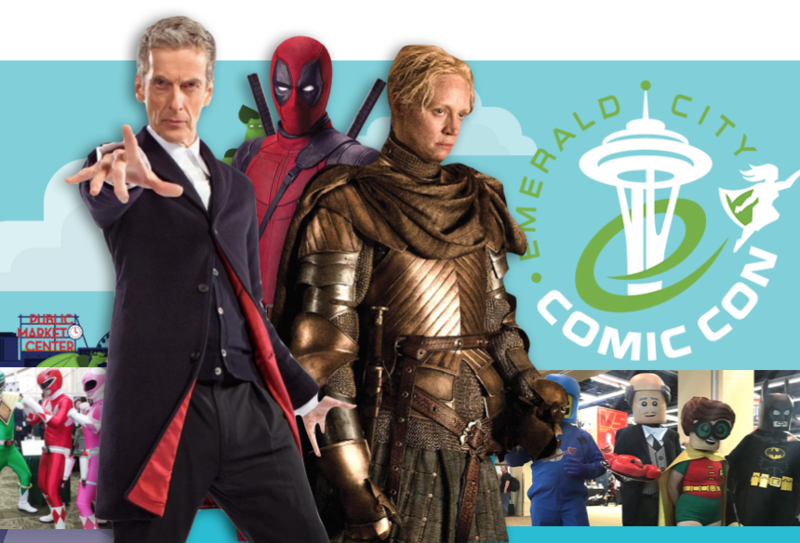 Continuing its outreach, Emerald City Comic Con also sponsored a side conference for lawyers dealing with contracts and legal issues associated with comics publishing and media rights. Though an extra cost for attendees, regular convention goers benefitted from a panel summarizing the highlights. With every convention, new projects and deals are announced. ECCC has a robust twitter feed. 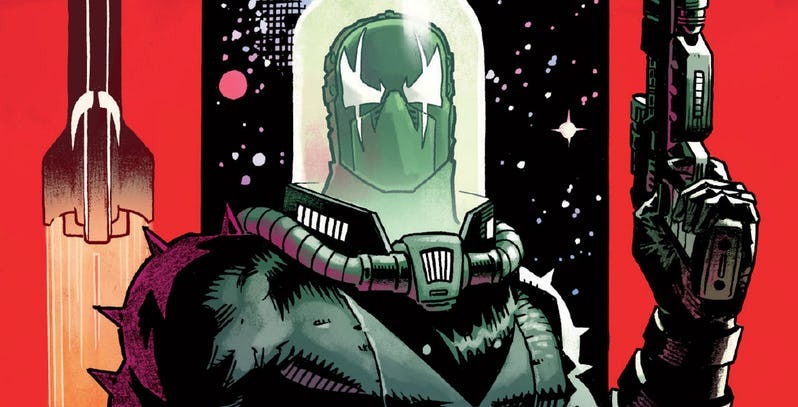 The big announcement on day one was Matt Wagner announcing a new story arc for his classic character Grendel–in space. Published by Dark Horse, Dave Lanphear of A Larger World Studios will letter. But lest you think ECCC stands for Emerald City Cosplayers and Consumers, significant resources are given to training the next generation of creators. In the session ‘From Panels to Publishing’, Kiara Valdez, an associate editor at First Second Books, and Amy Stern, as associate agent at Sheldon Fogelman Agency, joined creator Robin Robinson to illuminate the behind-the-scenes process of submitting projects and working with editors. They encouraged the crowd of aspiring creators, when receiving constructive criticism, to view it positively and use it to improve their craft rather than spewing negatively about it on social media. Energetically courting Creators, Consumers and Cosplayers, ECCC returns next year March 12 – 15, 2020. Thank you for an amazing #ECCC 2019! Presenting the #ECCC Western Cosplay Champions! Congrats to Artemis Wild Cosplay, Corrie of Say no to Scrunchies cosplay & Stephanie Piper for their huge wins at the Western Championships of Cosplay. Thanks to our sponsors @SINGERCO & @SYFY! Peter Capaldi hung out with us & shared some great advise “Never fail to be kind” 💚 What was your favorite Capaldi moment at #ECCC?